Stock status is current as of 4/26/2019 3:41 AMET. 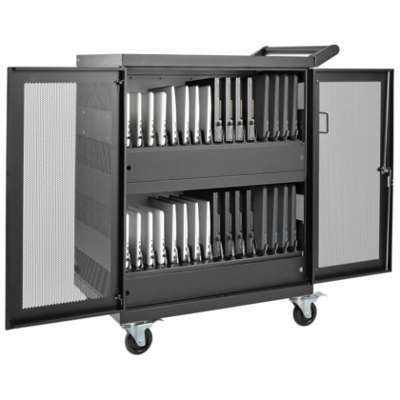 For clutter-free organisation of laptops, choose the Tripp Lite 32-Port Laptop AC Charging Cart. It provides fast charging, convenient syncing and secured storage for up to 32 laptops. Each port ensures fast charging through 120V AC adapters (up to 1,440 watts total). This cart supports wireless syncing as well as wired syncing by using the USB uplink that connects to the host computer. 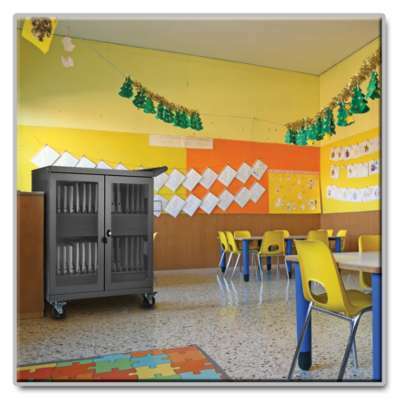 This cart provides comprehensive device protection, with steel construction and a powder-coated finish for long-term durability. You can store and charge chromebooks and ultra-portable laptops in it. This is an ideal property for educational, commercial, retail, industrial and health-care environment. Buy the Tripp Lite 32-Port Laptop AC Charging Cart right now! 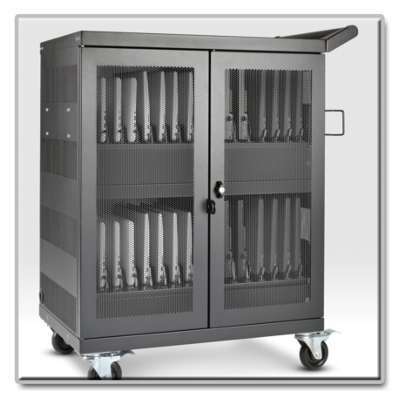 Tripp Lite:s CSC32AC 32-Device AC Charging Station Cart provides AC charging, secure storage, cord management and easy transport for up to 32 Chromebooks and laptops. 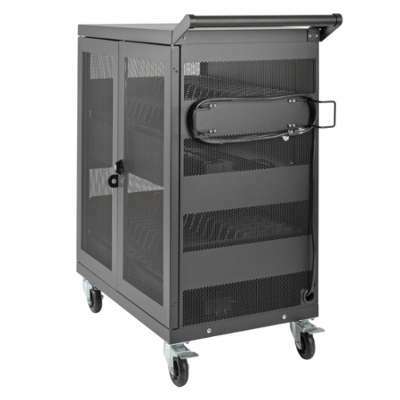 Ideal for education office commercial, retail industrial and healthcare environments this locking steel cart with a black powder-coated finish keeps valuable mobile devices safe, secure and always ready to use. The CSC32AC stores and charges Chromebooks and laptops with a screen size up to 17 inches. (Maximum device size is 16.5 x 10.5 x 1.5 inches.). 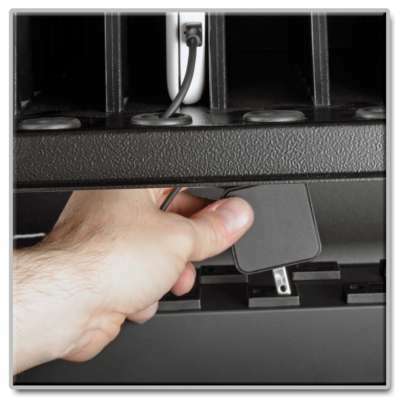 Their AC adapters plug into the carts 32 NEMA 5-15R outlets as needed, up to 1,440 total watts. You can also charge tablets and other USB devices through their power adapters. You can remove dividers to fit thicker devices, such as battery chargers. A built-in circuit breaker protects against overloads. The 10-foot AC input cord with NEMA 5-15P plug reaches distant outlets to help you place the cart in a convenient location. The CSC32AC locks with the included keys to protect devices from theft, damage or tampering. A three-point locking mechanism latches doors at the top middle and bottom. 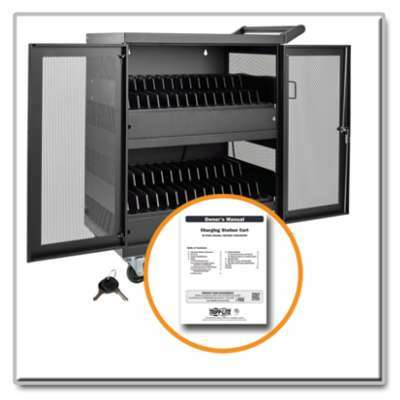 For extra security, you can replace or supplement the built-in lock with your own padlock, and rear ports accommodate an optional cable or chain lock to secure the entire unit in place. Flow-through ventilation prevents devices from overheating. The protective shelves are specially coated to prevent device scratches and scuffs, and the cord access ports include rubber grommets to protect against abrasions. A solid top doubles as a work surface and helps prevent accidental drips and spills from damaging devices. AC outlets, power adapters and cords are carefully stored out of sight. A front trim panel easily removes without tools to permit quick service access. Each device has its awn charging cord access port. The 32 NEMA 5-15R outlets are staggered to fit bulky power adapters without blocking adjacent outlets. The CSC32AC ships fully assembled for quick, easy installation on a wall, desk, table, counter or floor using the rear-panel mounting slots. You can also convert it to a mobile cart with Tripp Lite's optional CSHANDLEKIT2, and roll the unit where needed. The split front doors open 180 degrees for unrestricted access. 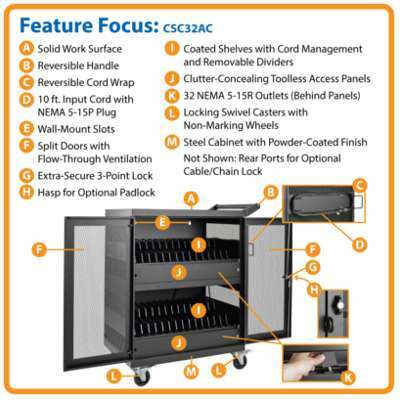 Rear-panel mounting slots allow you to install the cart on a wall, if desired. Large swivel casters with non-marking wheels allow the compact CSC32AC to move devices from room to room. A reversible wide-grip handle makes the cart easy to navigate, and the included reversible cord wrap keeps the AC input cord out of the way. 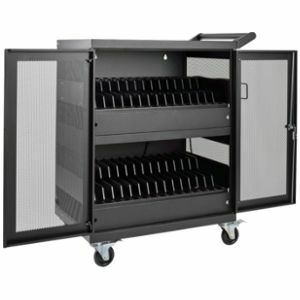 The cart fits in the same space as a typical utility cart, and the locking casters keep the cart in place when at rest. The CSC32AC comes with a 2-year warranty, and extended warranties are available. Its manufactured in compliance with strict RoHS specifications, reflecting Tripp Lite's commitment to environmental responsibility. Founded in 1922 in Chicago, Illinois, Tripp Lite is a leading manufacturer of products to power, protect, manage, house, cool, connect and mount your equipment. From the largest data center to the smallest home office, Tripp Lite products keep your equipment running effectively and efficiently. Whether you need to supply power to servers and have reliable battery backup, connect high-resolution video sources to displays and digital signs, or organize and secure IT equipment in rack enclosure cabinets, Tripp Lite has the complete solution. 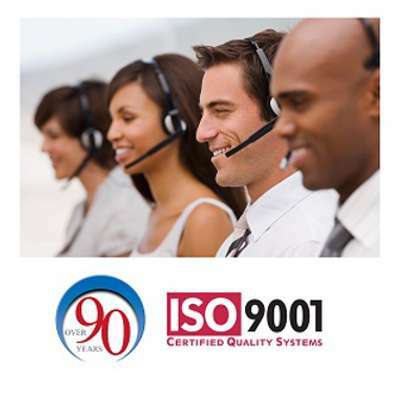 Plus, before and after your purchase, our Chicago-based, in-house technical support specialists are available to assist you by phone, email and live chat. With over 90 years of quality products and service, Tripp Lite is a brand you can trust.